It’s rather a nice time to be a FIAT LUX fan right now. At the start of 2017, not a single FIAT LUX track was available digitally and only two songs ‘Feels Like Winter Again’ and ‘This Illness’ had ever been available on CD via the long deleted 1989 compilation ‘Cocteau Signature Tunes’ issued in North America. 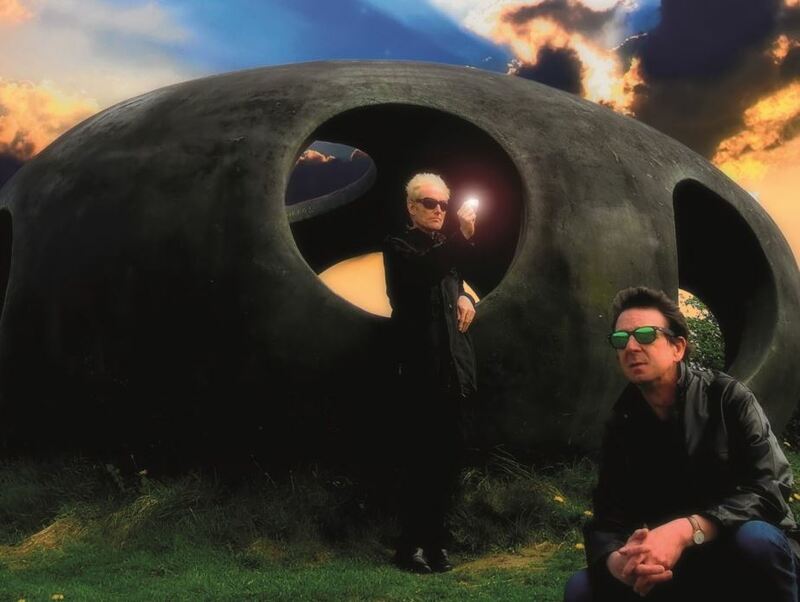 Following the reunion of founder members Steve Wright and David P Crickmore, 2019 has seen the release of ‘Saved Symmetry’ , the long awaited debut album containing ten thoughtful and reflective songs capturing the classic Northern spirit of FIAT LUX within a 21st Century environment. Between 1982 to 1985, Wright, Crickmore and the late Ian Nelson issued a series of acclaimed singles including ‘Secrets’ and ‘Blue Emotion’ which garnered the support of BBC Radio 1 DJs such as Janice Long and Peter Powell. 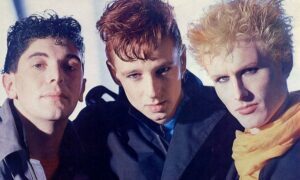 Despite this, FIAT LUX were unable to secure a Top 40 UK single and led to the album that the trio were recording for Polydor Records to be shelved. But now, that lost album now entitled ‘Ark Of Embers’ and all the material recorded during that period plus those first recordings for Cocteau Records will be released by Cherry Red Records as a 2CD set entitled ‘Hired History Plus’ , named after the 1984 singles compilation EP which was FIAT LUX’s only longer form release. 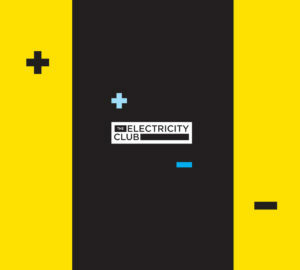 Steve Wright and David P Crickmore chatted to The Electricity Club about what has been a very busy and fruitful period for FIAT LUX. Like buses, you wait 35 years for a FIAT LUX album and get two? Steve: …although a happy one. 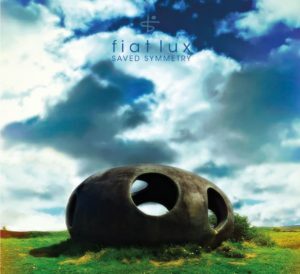 What’s the reception for ‘Saved Symmetry’ been like? Steve: It’s been gratifying that there have been so many good comments about it and many of the reviewers have gone into great detail about what they like about each track. It’s clear that they got what we we’re trying to achieve (a whole listening experience, rather than a bunch of random songs). We didn’t presume that that would be the case so it’s a real “nice to have”. David: Music industry people who were around during our Polydor years and championed us back then have had encouraging things to say about the new album. That reassures us that it measures up to our old stuff. Plus we’ve also had support from people and places that weren’t around in the ‘80s. So we’re delighted with the reception for it so far! The call to action of ‘We Can Change The World’ from ‘Saved Symmetry’ appears to have become a key track, any particular favourites for you? Steve: We’ve nurtured them all, so it’s hard to pull out a favourite. 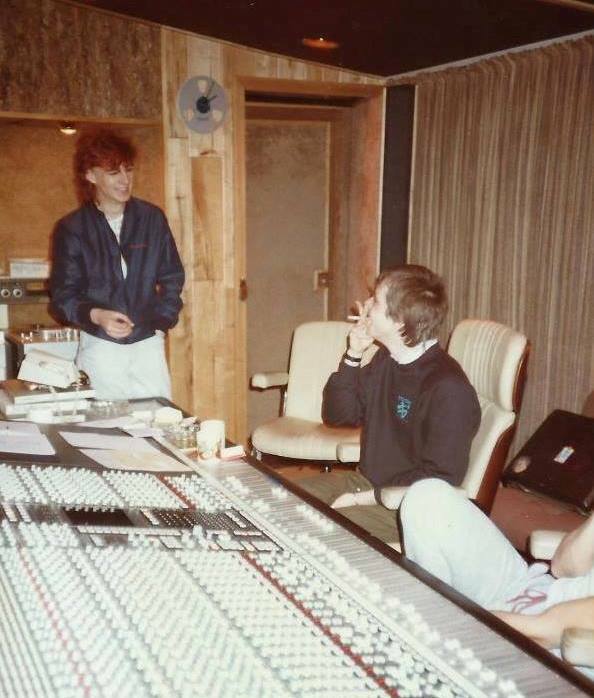 David: The whole project was a real mixed bag of absolutely brand new writing, (which we did while we were in the studio), plus some “unfinished business” from the 1980s – a few scraps of song ideas that had perhaps previously not got past the demo stage. ‘We Can Change The World’ from ‘Saved Symmetry’ had its roots in a tune I wrote just after leaving FIAT LUX the first time round, but most of the words are very recent and in part reflect on the loss of Ian Nelson and our getting back together without him. So since you last spoke to The Electricity Club, ‘Hired History Plus’ has become reality…was there a particular moment that sparked this into actually happening and having a budget to see through its release? 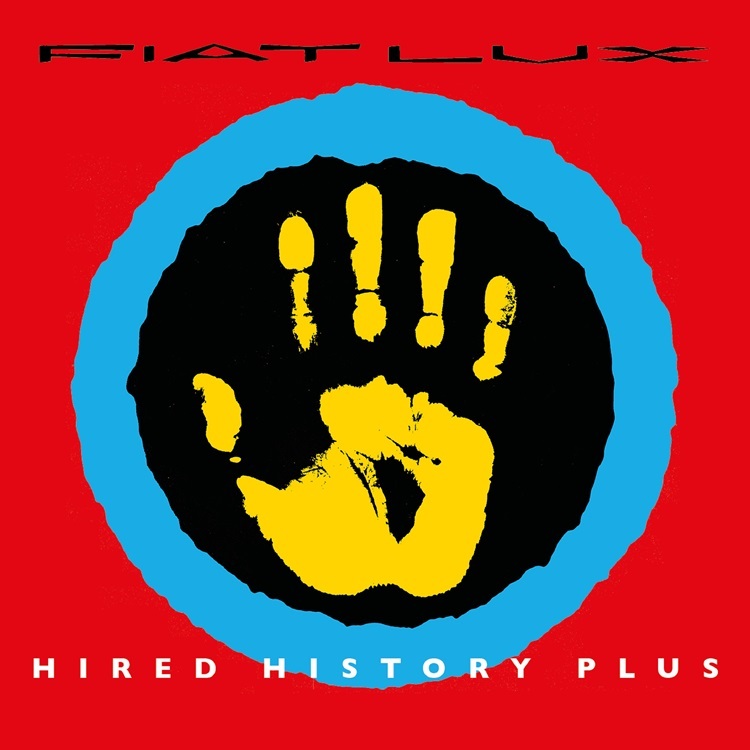 David: It’s difficult to say what the actual catalyst was for a FIAT LUX retrospective collection finally springing to life. I have a few theories. A meeting I had in London with a well-known producer who happened to be good mates with the MD of Universal (the rights holders of our 80s works) may have had something to do with them suddenly starting to talk to us. However, I can tell you the chain of events that led to ‘Hired History Plus’ being the outcome: We had already got some way to agreeing with Universal on a release of our lost Polydor album ‘Ark Of Embers’ which was going to come out on Splid Records. Just as we were about to sign this off, the person we were dealing with at Universal said “Oh by the way, I think Cherry Red are planning to do some sort of full retrospective set”. We immediately realised that we would be treading on each other’s toes if both came out at once, so I got to know who they were negotiating with at Cherry Red and proposed that if we dropped the rival release, we would agree to curate ‘Hired History Plus’ for them on condition that Disc Two could be the lost album ‘Ark Of Embers’. They were happy with that proposition, and delighted to have our help and support, so that’s what happened. How were the old Polydor tapes eventually found and what condition were they in? Did you get involved in the digital transfer process? Steve: Originally when we were trying for a release ourselves, and getting nowhere, we thought perhaps the tapes had been lost. However, it turned out to be quite the opposite! David: Yes, Polydor had kept everything we had done right down to the accompanying paperwork and had it stored in good order in the massive Decca archive, which is in a vault in a mountainside somewhere in Wales. I spent quite a bit of time looking through spreadsheets and PDF files provided by the helpful staff there to establish the whereabouts of the right master tapes for the job. Eventually we found them all and they were taken to EMI Studios in Abbey Road where they were digitally transferred at very high spec. Steve: They then gave them to us to work on at Splid studios. We checked that everything was the right version, decided on the running order and got the recordings tidy and ready for mastering. That was then done at 360 Mastering which is Cherry Red’s preferred company and, when it came back from there, we gave the final ok before it went to manufacture. 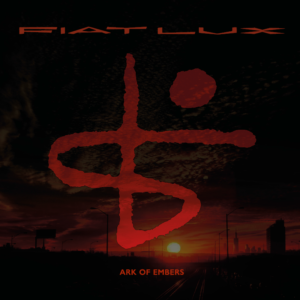 So the ‘lost’ unreleased album forms the bonus disc of ‘Hired History Plus’ has emerged with the title ‘Ark Of Embers’, was that its working title? Steve: That was a working title during the latter part of us recording it, yes. David: But in the intervening years we had completely forgotten this and simply began to refer to it as “The Lost Album”. It was only when the accompanying paperwork that went with all the tapes turned up that we rediscovered the title idea scribbled down on one of the sheets. “That’s it” we remembered. Steve: Of course over the years it took on a bit of a mythical status with some FIAT LUX followers. They began speculating on what tracks would be on it and giving it the name ‘Fact Ut Vivas’, but that was never a title that came from within the band. Going through the tapes to compile ‘Hired History Plus’ must have jogged all sorts of memories? Any ones in particular? David: It certainly did. Even seeing the old tape boxes again – all those brilliant old studios we visited: Amazon, Eden, RG Jones, Strawberry, Rockfield. 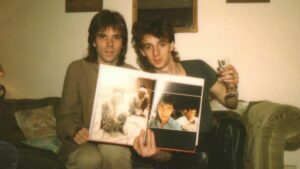 Steve: I remember us using Midge Ure’s studio in his back garden in Chiswick. I recall he was about to go on an ULTRAVOX tour when we visited to work on our ‘House Of Thorns’ single and he had all his guitars sprayed completely grey for the shows for some reason. We thought it was sacrilege to do that to such a nice guitar collection. 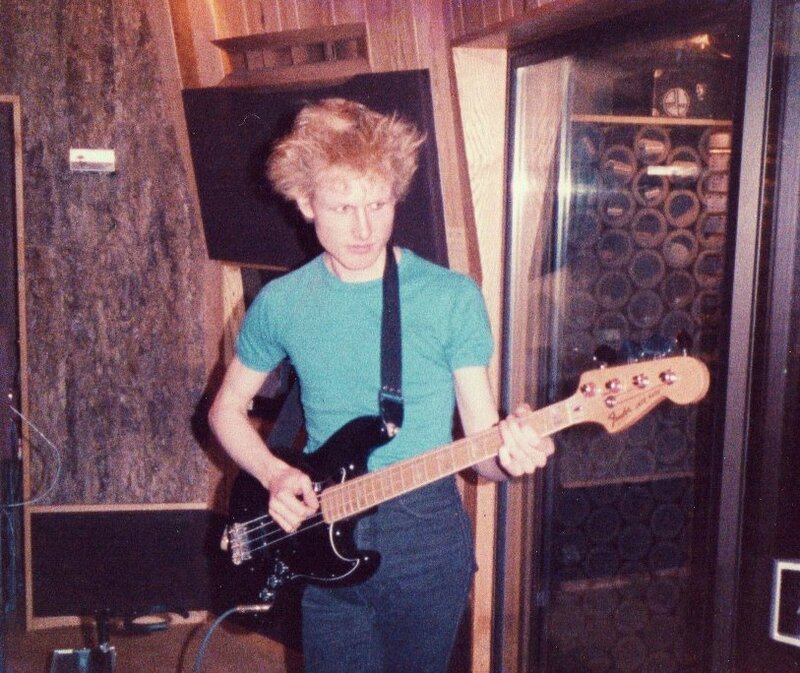 David: Looking again at all the worksheets from the tapes, it’s interesting to see how much we used a Minimoog synthesizer as a preferred choice for lead lines and bass pulses – what a great piece of kit. 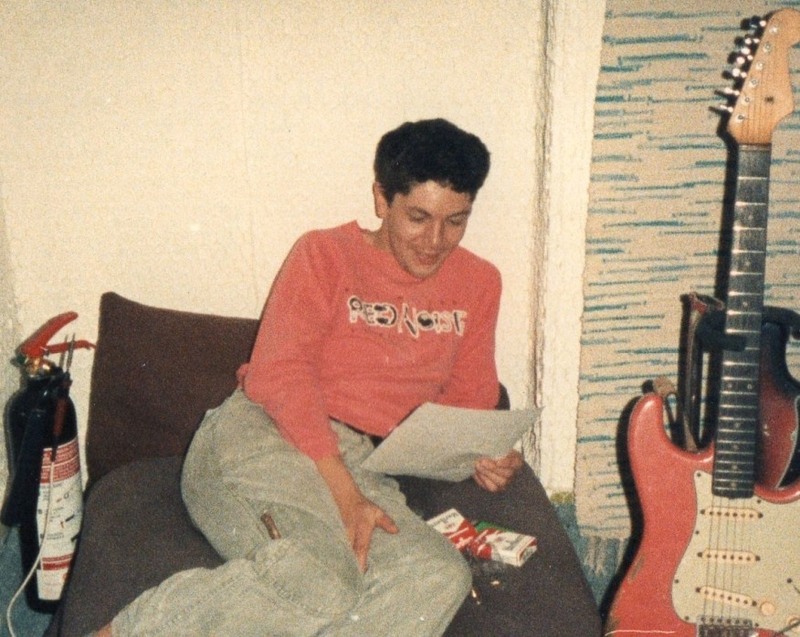 This happened even though, after signing to Polydor, we had purchased state of the art polyphonic keyboards like the Jupiter 8 and a Memory Moog, both from Rod Argents shop in Demark Street – still there today I think. Steve: There are also lots of big heavy things that we continually hired in at Polydor’s expense: Mellotrons and Marimbas which came in flight cases the size of dining tables. David: We made good use of them though – they’re all over many of the tracks and help make them distinctive I think. The words “It’s just a piece of my life” from ‘Photography’ have never rung truer? Steve: You’re right. It’s been like unearthing a time capsule of our past. Not only listening back to the tapes, but also finding all the memorabilia and, yes, photographs to go in the accompanying artwork and booklet. There’s the bonus of ‘Feels Like Winter Again’ and ‘This Illness’ being included, both classic Bill Nelson productions with their drum machine backbones and textural guitar treatments? David: Yes. Where it all began. At that stage we had no gear, so Bill made a big contribution in helping us conceive the prototype Fiat Lux sound, allowing us use of his vast array of instruments to go with the songs we had. Steve: Definitely. Bill was the person who kickstarted FIAT LUX. Without him and his production guidance and record label we probably wouldn’t have been able to get off the ground. You’ve unearthed the ultimate Bill Nelson rarity in the master tape of the 12” mix of his production of ‘Comfortable Life’? David: Yes. We’d only had it as a working copy on a rather ropey cassette, made in the studio at the time. It was a delightful surprise to find the proper master tape in the Decca archive – it was more we stumbled on it really while looking for the A-Side, the Bill produced (but never used) ‘Photography’ which took some detective work to track down. Great that we got both on ‘Hired History Plus’. Steve: On ‘Comfortable Life’, you can clearly hear Bill joining in the backing vocals too. Great fun. You got back in contact with your producer Hugh Jones, that must have been quite interesting for him to listen to the tapes again, did he hear ‘Saved Symmetry’ too? Steve: He did. Well before he got involved in, or had listened to ‘Hired History Plus’. Steve: If you want Hugh’s reappraisal of the ‘Hired History Plus’ material, you can read all about that in the accompanying CD booklet. He kindly provided us with a “foreword from the producer”. It would be fair to say ‘House Of Thorns’ was not FIAT LUX’s finest moment, how was it to listen back to the master tape of that? David: Hmm. Obviously it was one of those things that we had to include to satisfy the completist and to fulfil the album’s brief that it was to be all the finished master takes that were either released or intended to be released at the time. In our write-up in the booklet, we cover the difficulty of Polydor insisting that we come up with a follow up to ‘Blue Emotion’ without waiting for Hugh Jones to become available to produce it. Steve: Listening back after such a long time away from it, it stands up better than I thought – there’s great drumming from Dave Ruffy (ex-RUTS, whom I loved as a band. He was about join AZTEC CAMERA around that time I think). It definitely pulled us away from our normal sound, but there are record collectors you can find online who reckon on it being their favourite track of ours, so there you go. Do you think ‘House Of Thorns’ might have undone the positive momentum you achieved with ‘Hired History’ that even the release of the far superior ‘Solitary Lovers’ could not claw back? Steve: I don’t know really – it did get some radio coverage at the time, so it wasn’t a complete failure but it certainly didn’t build on the momentum of ‘Blue Emotion’. David: As Steve said, it was a diversion from our normal sound for an A side which must have confused people. Hugh Jones did manage to pull that back once he got his hands on ‘Solitary Lovers’. The problem then was that, by then, we’d pretty much had enough of the label bungling all our chances. With the amount of airplay our singles enjoyed and the coverage in the music papers, it’s arguable that would could have got a lot further if the records were actually in the shops when people were trying to buy them. This was a complaint we heard a lot from people who came to see us live. David: …and of course the Mellotron choir – so scary manipulating those real voices – almost like ghosts coming out of the keyboard. Steve: We were lucky to get Pandit Dinesh to play tabla. I’m not sure, but I think we must have come across him through our BLANCMANGE associations. We had no idea how well respected he was in his field at the time – a sort of Buddy Rich of Indian percussion. Sadly Ian Nelson is not here to witness this belated vindication, his contribution really was vital in FIAT LUX, like on ‘Embers’ and ‘Blue Emotion’? Steve: Absolutely. Would not have been the same without him. Now we are writing and recording again, we always pause and ask – what would Ian have done here? 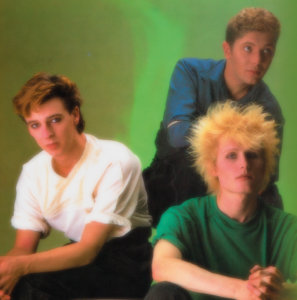 David: I am so pleased we were able to include his brother’s production of ‘Photography’ Mk1 in the collection as it shows how that great soaring sax line half way through was part of Ian’s design for it right from the beginning and Hugh Jones saw no reason to change that part when we remade it later. The wonderful Holtz style Moog line in ‘Blue Emotion’ really makes it and is all Ian’s, as was the looping clarinets of ‘Embers’. Lovely touches like that were his speciality. It had been intended for ‘Ark Of Embers’ to come out in 1985, how do you think it stands up in 2019? David: I think it offers the best tracks we had in our repertoire during the Polydor years. It’s what we were always striving to produce when we weren’t being diverted away from it by other music business issues. Steve: I think it holds together as an album should and doesn’t have such an overwhelming sense of period that it is too dated to appreciate now. I’d be proud to stand by it in any era. FIAT LUX fans are literally being spoilt in 2019, are you tempted to spoil them further with the possibility of live shows? Steve: Let’s just say that we are exploring possibilities on that one at the moment. David: Nothing concreate as yet, but it might be nice to do a few boutique shows if things do come together to our satisfaction. After a tentative return, how does it feel to have FIAT LUX active again? David: It’s great actually. It’s a shame circumstances didn’t conspire for us to do it sooner, but that’s life. Steve: We’ve certainly enjoyed getting it all together over the last couple of years and it’s been good to feel the support of followers (and websites like yours!) cheering us on as we have.